October 21, 2015 The Park City, Utah company SoundTube says its 31 Series of 3-inch speakers now carry IP64 and IP54 ratings. October 16, 2015 Adding further strength to its award-winning architectural speakers line, SpeakerCraft, the premier audio brand from Core Brands, today announced eight new speakers to its product mix. October 16, 2015 With its new 84-inch outdoor television, SunBriteTV is located at booth #6818 during CEDIA Expo 2015. October 16, 2015 WyreStorm's H2 line of UltraHD 4K matrix switchers and splitters over HDMI and HDBaseT feature HDCP 2.2 and HDMI 2.0 standard support. October 09, 2015 Sonesse ULTRA 50 DC motor operates at an acoustic level of less than 38 dBA. 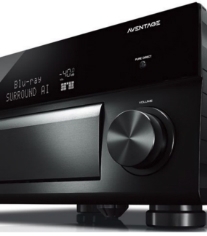 October 09, 2015 The Wash.-based company's new Concert AVR-7 and AVR-9 offer a complete array of home theater features, including Dolby Atmos and Dirac Live. October 05, 2015 CEDIA Expo 2015: Sympl, the new integrator-run company that makes project estimate and sales software, has changed its name to Slateplan. September 25, 2015 The newest speaker addition to Polk's line of wireless whole-house audio products also includes wired connection provisions to provide added levels of source connectivity. The Omni S6 will be on display at CEDIA Expo 2015. September 24, 2015 Gefen's new EXT-UHD-88 matrix switcher supports resolutions up to 4,096 x 2,160 and the latest copyright protection technologies. MSRP for the 4K Ultra HD 8x8 Matrix for HDMI w/HDCP 2.2 (EXT-UHD-88) is $3,999.